Over the past decade, Elvis fans have celebrated a number of golden anniversaries. In 2004 it had been 50 years since Elvis recorded “That’s All Right (Mama);” 2006 was the anniversary of “Heartbreak Hotel” and Love Me Tender; in 2007 we remembered Jailhouse Rock; and in 2008 Elvis’s army induction was honored. The annual 50-year celebrations have continued up to the present. As Elvis fans commemorated the 50th anniversary of Viva Las Vegas in 2014, it had to be conceded that when it came to golden anniversaries, 2014 belonged to The Beatles. In 1964 they first came to America, first appeared on the Ed Sullivan Show, topped the Hot 100 four times; and starred in their first movie, A Hard Day’s Night. Although these Beatles celebrations pushed Elvis out of the spotlight in 2014, he still deserved some credit for the glory The Beatles basked in that year. 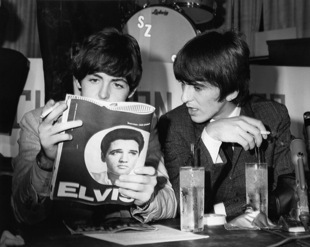 After all, both John Lennon and Paul McCartney acknowledged Elvis’s influence on them. 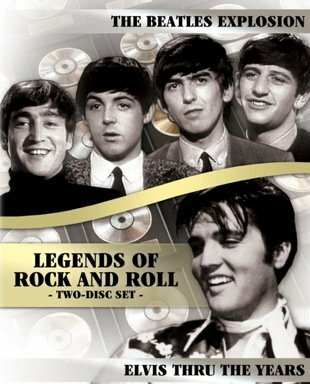 The Beatles, in turn, influenced Elvis in the later stages of his career. The mutual debt the two owed to each other is reflected in the recordings that each made of the other’s songs. Following is a list of the songs recorded by both Elvis Presley and The Beatles. From 1963-1971, The Beatles recorded 213 songs in studio sessions. None of them were covers of Presley songs. That’s not surprising, considering that The Beatles wrote nearly all of the material they recorded during those years. Only 24 of those 213 songs were written by someone other than the Fab Four. To find The Beatles singing Elvis songs, we have to go back to a simpler time and a different kind of recording studio in London. Between March 1962 and June 1965, The Beatles appeared on 52 British Broadcasting Corporation (BBC) radio programs. 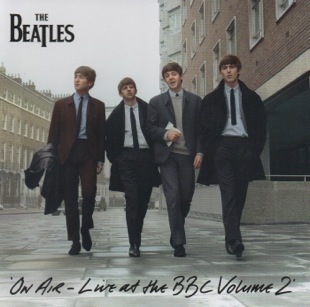 For each show, the “lads” would record a set of songs in the BBC’s basic London recording studio to be played later over the air. During the three-year period at the BBC, the group recorded 88 different songs, 36 of which were never issued later on records. Two double-CD compilations of these recordings were released in 1994 and 2013. Included among the tracks are four Beatle covers of early Presley recordings. Elvis recorded his version of Arthur (Big Boy) Crudup’s song at Sam Phillips’s Memphis studio on July 5, 1954. It started him on the way to stardom, and he never stopped singing “That’s All Right (Mama),” including it in many live shows through the rest of his career. The Beatles had been singing it since the group’s earliest days, when they were known as The Quarry Men. Paul sang lead on The Beatles' version of “That’s All Right (Mama)” that was broadcast over the BBC airwaves. 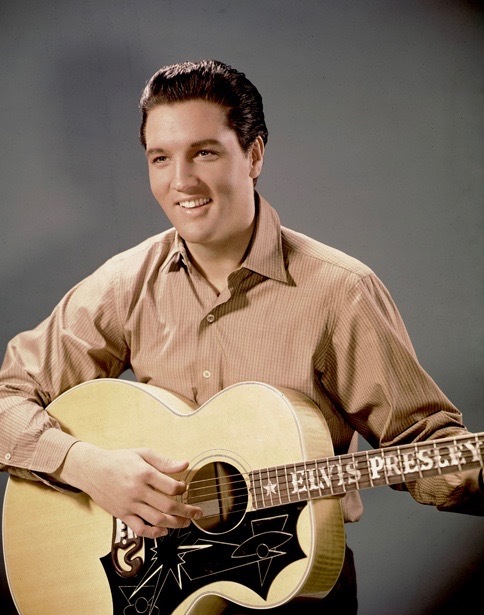 He followed Presley’s rockabilly treatment of the song instead of Crudup’s original r&B version. “I Got a Woman,” the first song Elvis recorded at his first RCA recording session in Nashville in January 1956, was a hit for Ray Charles the year before. 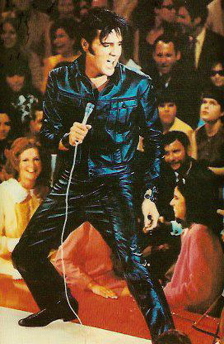 It’s another of the songs Presley used in his live appearances through the seventies. The Beatles would have heard Elvis’s version in 1956 on his first UK album, titled “Rock ’n’ Roll No. 1.” John sang lead on The Beatles’ BBC version, recorded in July 1963. The pace is slower, but the grinding ending makes it obvious it was Elvis’s version and not Ray Charles’s that the group had in mind. Elvis recorded this cover of Joe Thomas’s early fifties r&b hit at the end of January 1956. It appeared as a track on his first U.S. album, as well as on his “Rock ’n’ Roll No. 1” debut LP in the UK. John and Paul sang a duet on the song when they recorded it in the BBC studio in July 1963. Elvis’s last record issued on the Sun label was recorded in July 1955. 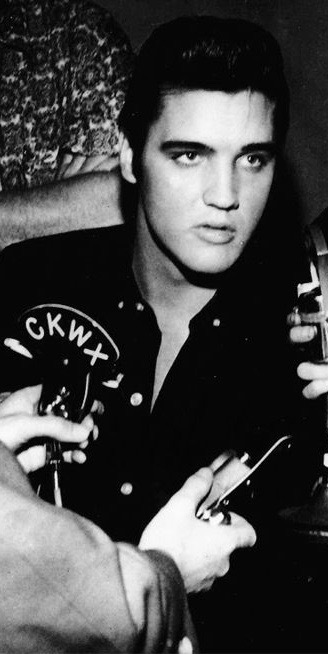 Elvis signed on with RCA while “I Forgot to Remember to Forget” was on its way to #1 on Billboard’s country chart. RCA issued it immediately on its label, and the record remained on the country chart for 40 weeks, longer than any other Elvis single on any Billboard chart. 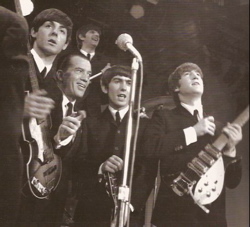 In February 1964, The Beatles arrived in New York for their first historic appearance on The Ed Sullivan Show. Three months later, in May 1964, the group was back in London recording “I Forgot to Remember to Forget” for later playback on BBC radio. George Harrison sang lead on what would be the last Presley cover the group would make. Recorded over a period of 22 years, Elvis’s pool of studio recordings was much greater than that of The Beatles. 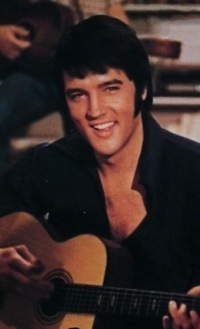 Presley recorded about 665 different songs during sessions, and perhaps 50 additional titles in live performances during the ’50, ’60s, and ’70s. 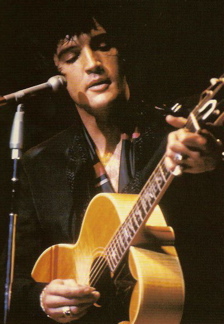 As The Beatles had done for him, Elvis covered four Beatle songs, starting in 1969. George Harrison’s signature composition for The Beatles was recorded over four Abbey Road sessions from February through May 1969. As the only Harrison A-side on a Beatles single, the song reached #1 on the Hot 100 in October 1969. 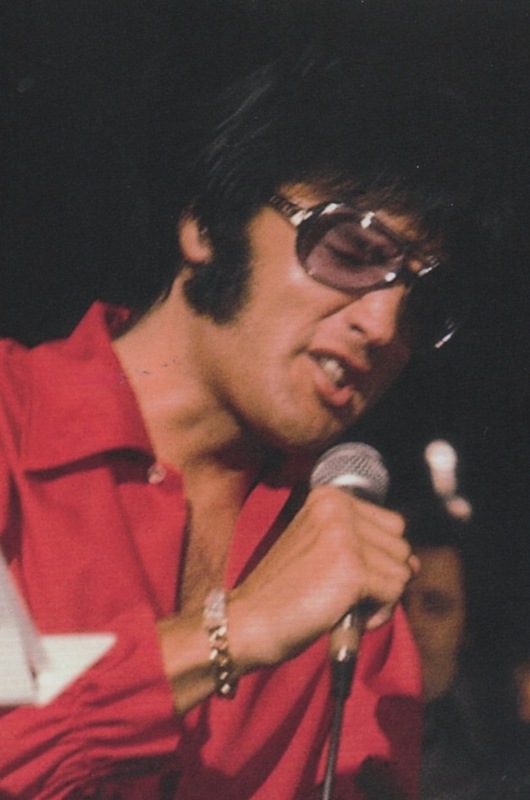 Elvis sang “Something” during his 1973 “Aloha From Hawaii” concert. He continued to use the song in his stage show intermittently in the seventies. Both covered Little Richard’s 1956 shouter anthem. 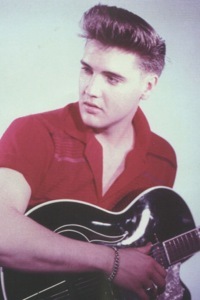 Elvis’s version, recorded in September 1956, appeared as a track on his second RCA album in late 1956. 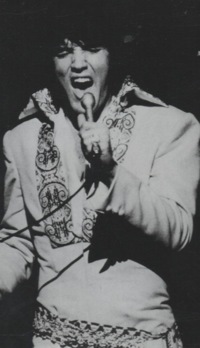 Presley sang the song on stage both in the fifties and the seventies. With Paul mimicking Little Richard’s screeching, The Beatles recorded four versions of “Long Tall Sally” for their BBC appearances. In March 1964, the group recorded the song in one take at Abbey Road studios for commercial release on one of their early LPs. Still another entry in the combined Beatles-Presley Chuck Berry tribute fest, “Johnny B. Goode,” with John singing lead, was one of songs The Beatles featured most often on their BBC appearances in 1962-1964. It was also on the playlist for Elvis’s first Vegas gig in the summer of 1969. 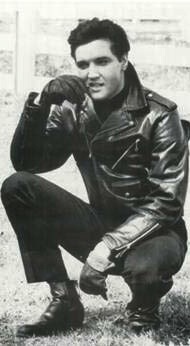 "Elvis was one many early rockers from whom The Beatles drew inspiration. Nothing wrong with that. After all, didn’t the young Elvis draw inspiration from many different singers from several different genres?"